While your teeth play a critical role in your body’s health, they also greet the world every time you smile, which is why most everyone wants that smile to contain beautifully white, straight teeth. Often, however, genetics and wear and tear can wreak havoc on your teeth, which is where cosmetic dentistry comes in. At Mauriello Dental in Fort Lee, New Jersey, Dr. Joseph Mauriello and Dr. Vivian Mauriello provide cosmetic options that will have you smiling with confidence in no time. To learn about the possibilities for improving your teeth, call or book an appointment online. It’s important to note that cosmetic dentistry doesn't imperil overall dental health. Rather, it improves your smile while maintaining optimal function. For that reason, it’s essential to turn to dental experts who have a solid understanding of general dentistry, as well as cosmetic dentistry, like Dr. Joseph Mauriello and Dr. Vivian Mauriello. 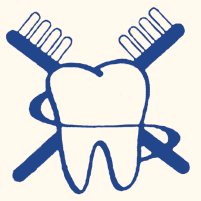 There’s also a fair amount of crossover between general dental procedures and cosmetic dentistry. For example, crowns that cap a badly damaged tooth offer both an aesthetic and functional solution. Also, if you don’t like the look of traditional fillings, which serve a critical role in halting decay in your teeth, the answer lies in cosmetic dentistry with tooth-colored fillings. What conditions does cosmetic dentistry fix? Whatever your issue, it’s more than likely that the dentists at Mauriello Dental have a perfect solution. What are the options in cosmetic dentistry? None of these procedures is particularly invasive, but several are irreversible, so it’s essential that you understand precisely how cosmetic dentistry alters your teeth. As well, it’s easy to overlook a basic tool in your cosmetic arsenal: good cleaning. Outside of daily, at-home care, a professional cleaning performed twice a year by Mauriello Dental’s hygienist goes a long way toward improving the look of your natural teeth and maintaining the results of any cosmetic dentistry procedure. To learn more about the many cosmetic options that improve your smile, call Mauriello Dental or schedule an appointment using the online booking tool.